A study of credit and debit card transactions during the Great Singapore Sale yields interesting insights into shopping patterns. There are many ways to stimulate the economy by getting people to spend more. Some countries introduce tax benefit, others have price cut schemes. 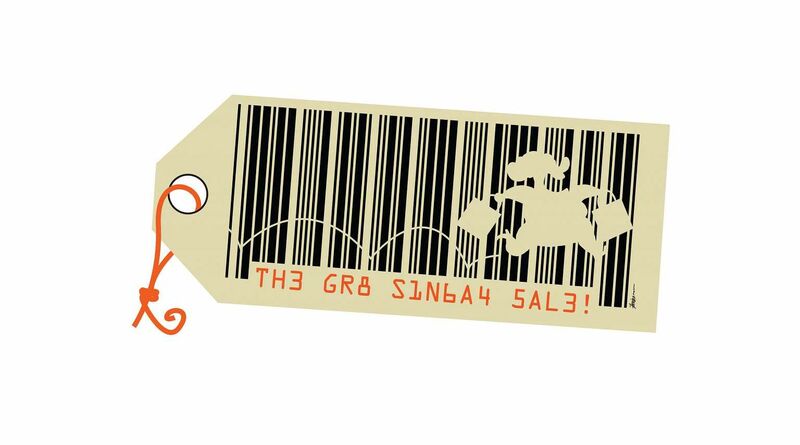 The nationwide shopping promotion called the Great Singapore Sale (GSS), started in 1994 by the Singapore Tourism Board in alliance with the Singapore Retailers Association, is one such indirect government stimulus programme. Though the price cuts are not directly from the Government, it encourages retailers to participate in the GSS to stimulate consumption. Unlike other sales events which are independently initiated by retailers, the GSS is a concerted government effort to boost consumer spending with a nationwide push for retailers to cut prices en masse. As the GSS is held from May to July every year, consumers are able to anticipate the sale and, thus, price discounts, and regulate their spending accordingly. Hence, it remains an open question whether such price cuts really boost consumption or whether shoppers merely forestall their purchases till the sale or brought forward future purchases. At the National University of Singapore Business School, we studied the GSS and its impact on consumption based on card transaction data. Over the years, the number of cards and billing amounts in Singapore have been rising, implying that credit and charge cards are fast becoming an important means of transaction. We used a comprehensive data set of credit and debit card transactions from over 120,000 cardholders, including the transaction date, name of merchant, merchant category code, exact amount of the transaction, method of payment (credit or debit card) as well as demographic information including age, gender, income level, credit limit and ethnicity. The 2010 GSS was chosen for analysis because, in subsequent years, the Government announced several benefits such as the Growth Dividend programme that could potentially affect consumer budget and spending. We studied Singaporeans' shopping behaviour starting four weeks before the GSS and ending one week thereafter. The first three weeks serve as the reference period, allowing us to compare changes in spending from one week prior to and one week after the GSS. The entire GSS period was also studied. We could not extend the study period as there were other events prior and after (for example, National Day) that could have affected shopping behaviour. While we expected the average spending per transaction to drop after the GSS, we found that the number of transactions were no different. We also noticed that total daily spending and average spending per transaction before and during the GSS were no different. We analysed whether purchasing pattern varied by the type of products purchased. We categorised products as shopping if they are likely to be discounted during the GSS, while those not affected were classified as non-shopping. As expected, for shopping products, cardholders spend less before and after the GSS, and significantly more during the sale. But for non-shopping products, Singaporeans spend more before the GSS but less during the sale. This low level of expenditure was maintained after the GSS. Clearly, Singaporeans were substituting by spending more on items discounted during the GSS and less on items that are less related to the sale. Overall, Singaporeans spend 27 cents more on a daily basis during the GSS. While there were no differences in spending on dining, spending on apparel was affected. Specifically, Singaporeans spent 39 cents less on apparel in the week right before the GSS and 25 cents less in the week right after. Spending on entertainment followed the expected pattern of significant increased expenditure during the GSS and decreased thereafter. However, supermarket products did not enjoy such increased sales, except during the tailend of the event. Thereafter, sales tapered. Age played a part in Singaporeans' purchase of shopping products. The young would increase their spending on shopping products continuously until the third week of the GSS; while older shoppers would shop more in the first week, take a breather in the second week, and then increase their spending gradually thereafter and have a slight burst again during the last week. Chinese shoppers spent a lot more especially during the first week of the GSS, while the non-Chinese increased their spending slightly only after the first week. Interestingly, Chinese shoppers continued their elevated shopping even after the GSS, displaying a long-lived trend of positive spending. Male and female shoppers did not differ much. While the singles increased their spending levels throughout the GSS period, those who were married increased their spending initially and started to cut back after the second week. The singles are more flexible in budgetary planning as they are less likely to have a family to support. How about people with financial strength? We see a consistent pattern among people with a high account balance, high credit limit or high income. They were disciplined spenders. They spent more during the early weeks of the GSS, buying what they needed to buy. Thereafter, their spending was flat for the rest of the GSS. In contrast, those with a low account balance or low credit limit or low income increased their spending throughout the entire GSS period, perhaps to take advantage of the sales. Card usage varied during the GSS. Consumers preferred using credit cards first and switch to debit cards later on, probably because they had maxed out on their credit limit after a few weeks of shopping. Finally, Singaporeans showed preferences to spend first on durable products followed by non-durables - a sign of more sophisticated spending on long-lasting products and only when there is money leftover, to spend it on non-durables. To marketers, our research shows clearly that shopping pattern varies from the beginning to the end of the GSS, and across consumers, despite them being able to anticipate the price discounts from the GSS. We also notice that Singaporeans are quite savvy consumers, in that they know how to substitute their purchases to take advantage of the offerings. From a policymaker's perspective, our research demonstrates that personal liquidity, as seen by shoppers' financial strength, influences shopping behaviour. In particular, the GSS as a stimulus programme offering price discounts has a greater impact on consumers with financial concerns, such as low credit, account balance and income, as they varied their shopping behaviour more so in response to the price discounts. Sumit Agarwal is Low Tuck Kwong Professor; Qian Wenlan is Associate Professor of Finance at National University of Singapore Business School; and Kang Mo Koo is PhD student in the Department of Real Estate.